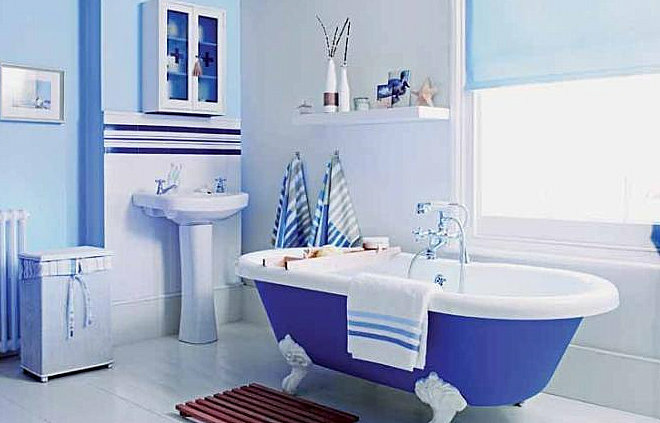 The perfect place for a lovely, long soak. 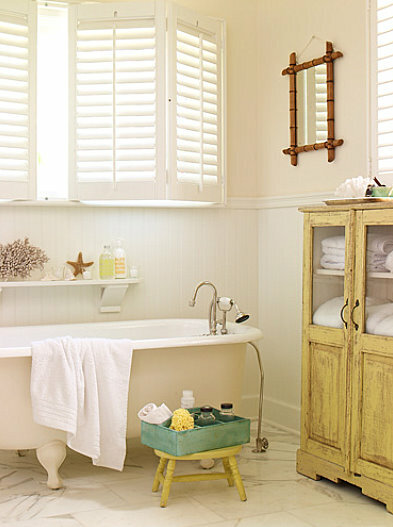 what fantastic examples of summer style bathrooms! breezy and open and fresh! 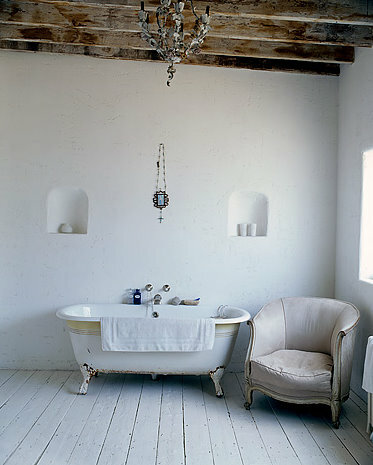 Leigh I've afraid if I dipped into any one of these beautiful baths, I'd never leave. Hope all is well? More stunning pics, thank you. Enjoy your day. Love your blog! 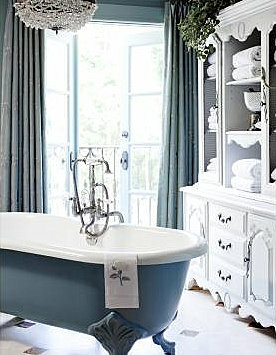 The photos of the tubs are so beautiful and inspiring!